(a) Disconnect the fuel sender gauge connector from the fuel suction plate. (b) Press down on the fuel sender gauge claw labeled A. Then slide the fuel sender gauge upward. Do not touch the sender resistance plate or contact area. (a) Remove the rear No. 2 floor service hole cover. (b) Disconnect the fuel sender gauge connector. 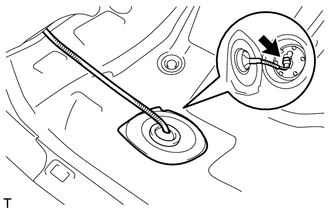 (a) Remove the 6 bolts and fuel sender gauge assembly from the fuel tank. Be careful not to bend the arm of the fuel sender gauge. (a) Remove the fuel sender gauge. (c) Measure the resistance between terminals 2 and 1 of the connector according to the value(s) in the table below. 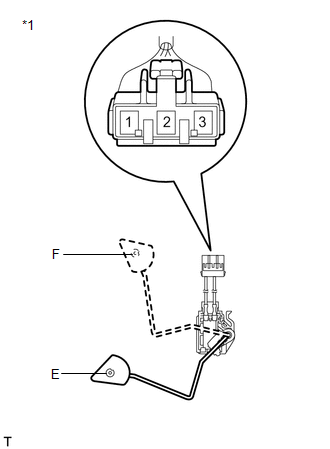 If the result is not as specified, replace the fuel sender gauge. 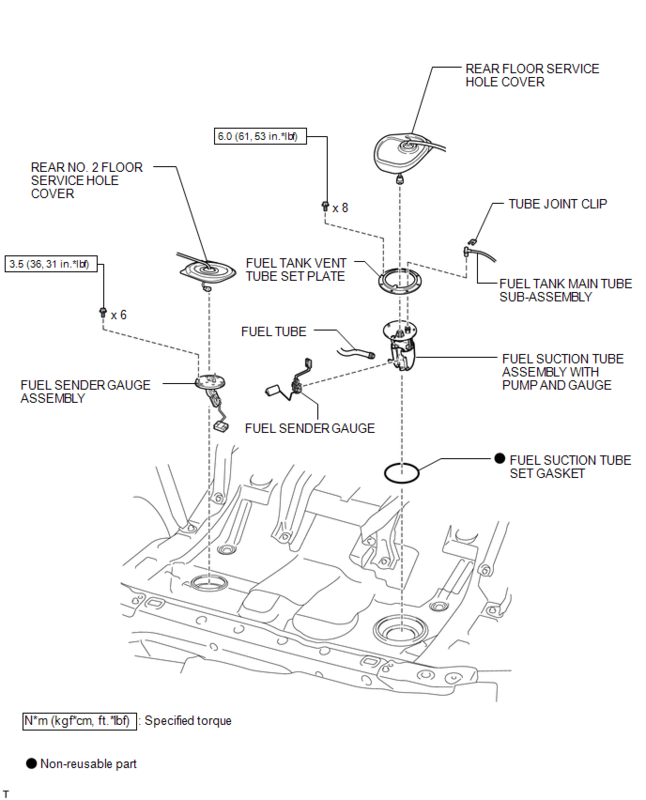 (a) Remove the fuel sender gauge assembly. (c) Measure the resistance between terminals 1 and 2 according to the value(s) in the table below. 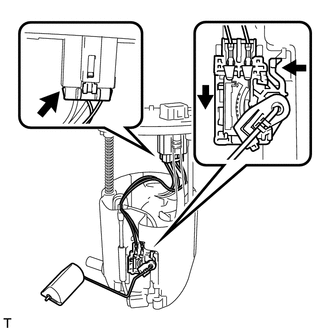 If the result is not as specified, replace the fuel sender gauge assembly. 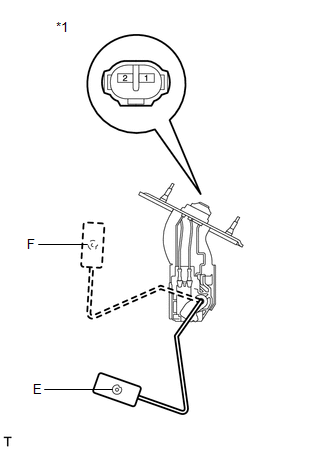 (a) Install the fuel sender gauge assembly to the fuel tank with the 6 bolts. Be careful not to bend the arm of the fuel sender gauge assembly. (a) Connect the fuel sender gauge connector. (b) Install the rear No. 2 floor service hole cover with new butyl tape. 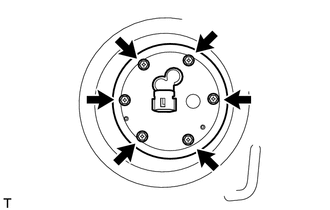 (a) Install the fuel sender gauge by sliding it downward. Make sure that the fuel sender gauge arm does not bend. (b) Connect the connector of the fuel sender gauge.